Bought for my son...fitted straight out the box...look smart..can be worn as casual or in the office. 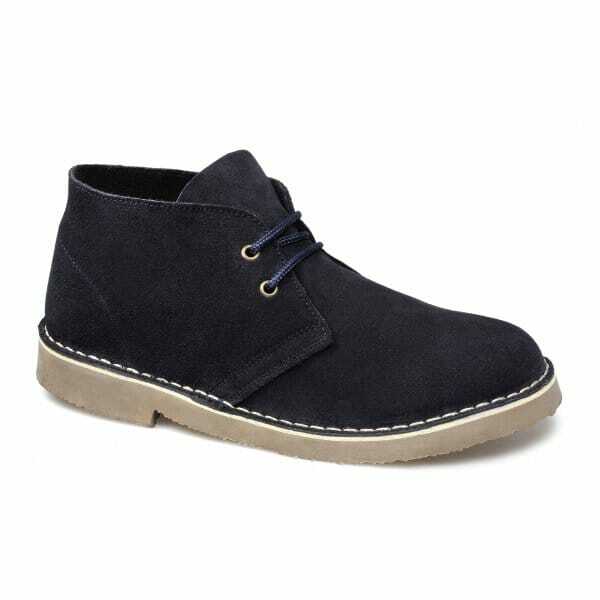 Good quality desert boots for a bargain price. Comfortable, well made and stylish, good for a casual day or night out, looks good with jeans and the dark blue colour I picked contrasts well with chino's. Very comfortable pair of boots, bought on offer for £19 which was very good value. Not sure I'd pay full price for them though. Great shoes; excellent style, quality and fantastic value for money. These are very nice boots and seem to well made.They are comfortable and good value for money. Lovely boots,great colour ,nice price ,husband loves them ,thank you . Love them, have 2prs , different colours.. Very comfortable and easy to wear with skinny jeans, or leggings..